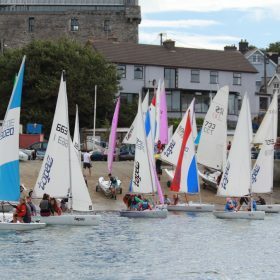 altimore Sailing Club is delighted to announce that CH Marine are to sponsor the Laser Munster Championships 2018 to be held in Baltimore on March 31st/April 1st. CH Marine are one of the largest marine equipment suppliers in Ireland and are the official Irish Dealer of Laser Performance. CH Marine have also confirmed that they will have their Support Van at the event with all Laser essentials on board. However, should you have any specific laser items you require please let the CH Marine Team in Skibbereen know and they will ensure that they are ready for pick up in Baltimore. 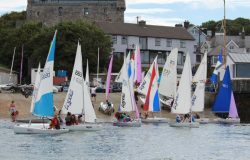 The CH Marine Munster Laser Championships are the first Irish Laser regional event of 2018 and a large number of sailors are expected to compete. Entry is currently open online here and you can see who is already entered here. The Laser Master Worlds 2018 are to be held in Dun Laoghaire in September with an estimated 400 boat fleet, open to men and women aged 35 and over. The Master Worlds is not an “open” event and and all competitors must be ranked by their local Laser Class. 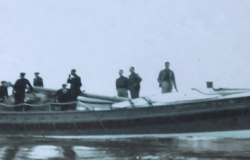 The Munsters and Ulsters (Apr 28/29) are the final two qualifying events to get on the ranking ladder so it is expected that there will be a large number of master sailors competing at the Munsters. We look forward to welcoming all sailors and their families to Baltimore over the Easter holidays. 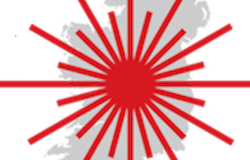 Full details re accommodation etc can be found on the Irish Laser Assoc event page here.